Is 72 Hours in Vegas doable? Our adventure to Sin City was definitely short, but sweet. Located halfway between old Las Vegas (Freemont St area) and new Las Vegas (the Strip) is the SLS Las Vegas. The location isn’t ideal if you want to be right in the middle of the action but to be honest, the property more than redeemed itself with its amazing selection of restaurants, proximity to shops and services and the incredible free upgrade we got. Definitely ask for the Lux Tower when you’re checking in, as there are two towers and one is much nicer than the other. The SLS is walking distance from the Stratosphere, an awesome place to play $5 Blackjack (as opposed to minimum bets of $25 at bigger casinos like the Bellagio). For thrill seekers, the Stratosphere also offers up some intensely scary rides and even a bungee jump from the top of the tower. 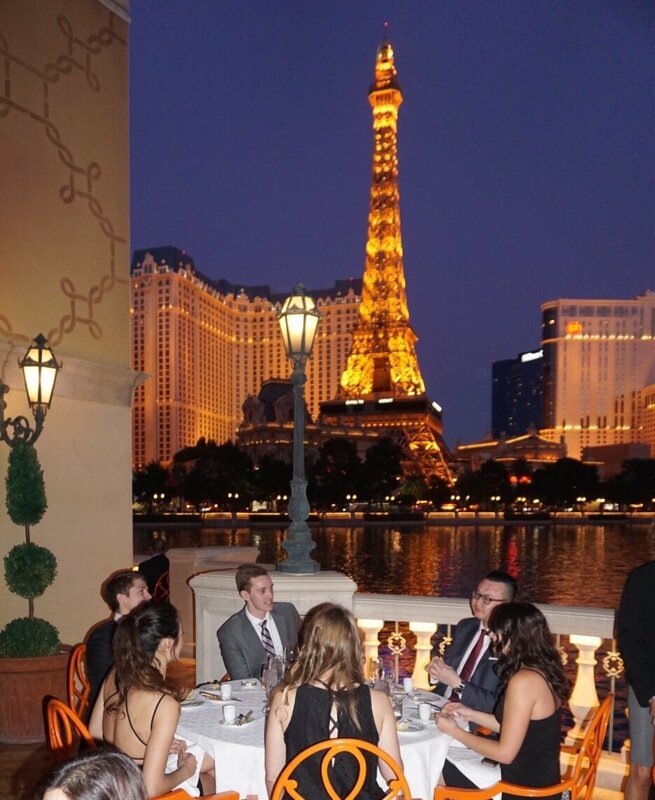 We landed in Vegas around midnight and decided to have a night “in” rather than head out to the Strip. Luckily Vegas never sleeps and we located the Northside Café in our hotel which served dim sum until 6am every single night. Perfect midnight snack. Who doesn’t love a good pool party? The sun was shining on Friday morning and we decided to catch some rays by the pool while the DJ played some tunes. The prices for drinks were ridiculous so, on a tip from some fellow Canadians, we ran across the street to Walgreens and bought alcohol of our own for a fraction of the price. They let us bring it into the pool area as long as we poured the bottles out into clear plastic cups in front of them. It’s their “unofficial” policy to do this, and I have a feeling that it’s to their discretion whether they’ll allow you to do the same but it worked for us so hooray! +1 for SLS. The Foxtail becomes a nightclub at night and people can mingle and dance by the pool. Side note: I have no idea WHY they do this but there are two pools and one is shockingly cold. We joked that this was the pool meant for Canadians but to be honest, I could barely stand it. Avoid this one if you want a nice relaxing swim. If you haven’t tried Shake Shack before, do yourself a favor and plan a trip to one ASAP. We’ve been to Vegas 3 times within the past 8 months and this is one of the things that keeps me coming back. Their shakes are to die for, the burgers are the best I’ve had and their cheese fries…. OMG. But keep in mind, you might not want to look at the calories that are listed beside each item on the menu. I think we successfully converted our friends who were all Shake Shack virgins. This was the cherry on top of the entire trip. I literally couldn’t believe how stunningly beautiful this place was and when the fountain show started, I knew I wasn’t paying $150 US for the meal but for experience. Basically, Picasso is a 2 michelin starred (!) restaurant located inside the Bellagio that offers up dining space on a balcony right beside the famous musical fountain. There are only two options on the menu – either a 4 or 5 course predominantly seafood dinner ($118 and $128 respectively) with wine pairings available for an extra $50. But really, it wouldn’t have mattered if they were serving plates of McDonald’s because the show was that priceless. When you’re in Vegas it’s pretty much a given that you’ll be seeing a show and I’m so glad we chose this one. La Reve is choreographed entirely around and under water and it’s spellbinding. If you’re dressed to impress make sure you don’t make the mistake we did and book poolside seating (aka the cheapest seating) because you WILL get splashed. Repeatedly. We’ll let the pictures do the talking on this one. The Grand Canyon Skywalk is a 2.5 hour drive from Vegas and we decided to rent a car and tick it off the bucket list. Yes, this place is a tourist trap. Yes, it’s quite the journey and you WILL be exhausted. But honestly, it’s the Grand Canyon and of course it’s worth it at the end of the day. Make sure you bring a sweater because even though it’s not far from warm, sunny Vegas it’s super windy and significantly colder. I showed up wearing literally shorts and tank top and almost died before I had to buy an overpriced sweater from the gift shop. The bus tour around the park costs about $40 USD and it takes you to 3 different locations where you can take in the views, learn about the history and the indigenous people and also do the Skywalk (which we didn’t pay for, because it looks pointless). Gorgeous place and I’d highly recommend it, although next time I think we’ll skip the drive (zzzz…) and just helicopter in from Vegas. The noodles at this place are good. But that’s definitely not what I’m going to talk about because they have Taiwanese shaved ice on the menu and that is all I care about. Not only are the portions excessively large, but GOD this stuff is addictive and amazing. 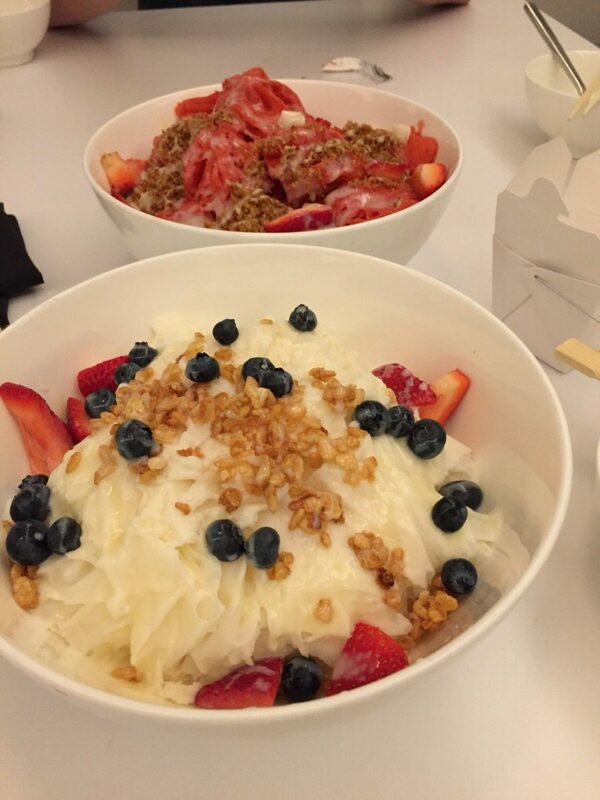 And who knew you could eat shaved ice with chopsticks? 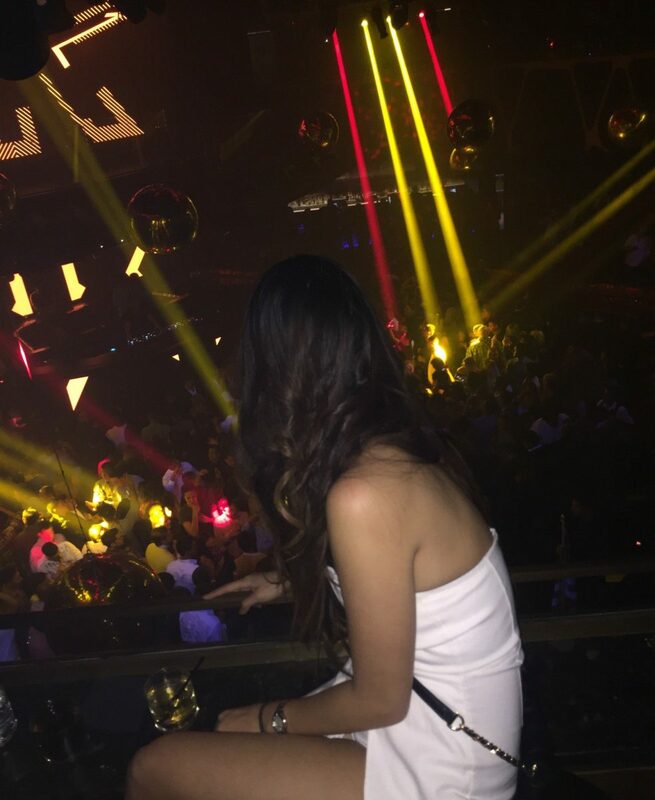 In Vegas it’s pretty much expected that you should pay for bottle service if you want to have a great time. The clubs are open till 5am and let’s face it, you’re going to want a place to chill at some point in the night. We were quoted a price of $1000 USD for our rooftop table but in reality we paid about $1600 USD. Crap. Hakkasan is a mega club, although it definitely looks and feels smaller than other mega clubs like Omnia and XS. There are supposedly 5 levels, although we only ever saw 2 of them. Either way, the music was great (we had DVBBS headlining), the table was awesome and I didn’t get into bed until 6am. Thanks Vegas. This place is quoted as being one of the best burger places in Vegas and it’s definitely believable. I ordered the Ahi Tuna Burger which was really good but next time I’ll probably just go with their signature Umami Burger. The truffle fries were insanely good and their yam fries were dusted with cinnamon sugar… what? I love this city. So there you have it, our 72 hours in Vegas and I honestly don’t think me or my wallet could have survived another day. Till next time, Sin City!